Screensaver is a tiny application which runs when you just leave your computer with no mouse movement or key stroke for certain period. You can find lot many PC running company name or some random screensavers in those period. If you want to show some useful information at that time on your screen; for example CPU Usage (even you are not touching your computer, lot many processing happens in background), RAM utilization and Hard Disk Info (Hardware) etc. then here is a screen saver utility which can show you he same. 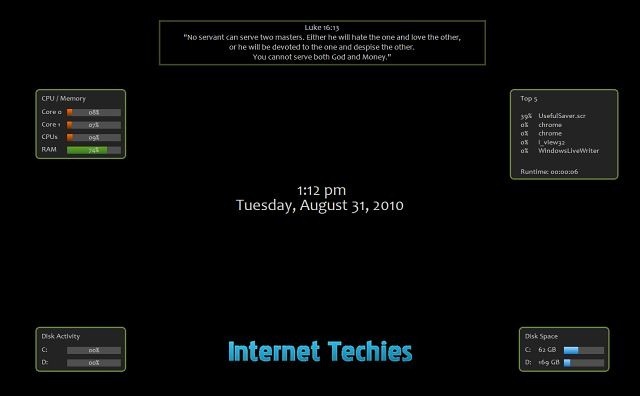 UsefulSaver is a free to download screen saver which shows different information related to your computer. It shows CPU usages, RAM information, Hard Disk activity and info, Remaining Battery Life, Current system date and time, top 5 processes which are consuming most of the memory. This screensaver is useful for those who wants to analyze their system or always concerned about the memory and CPU usage of their Windows PC. Here is the screenshot of UsefulSaver where you can see a nice quote on top as well. You can change that text or add multiple quote which will be visible on certain time interval. Once you installed this utility on your computer, go to your desktop screen and right-click on somewhere. 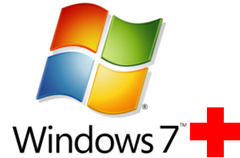 Now select “Personalize” in Windows 7 to customize the look or choose theme for your desktop. You can use similar option in Windows XP or Vista as well. Now click on “Screen Saver” at the bottom of the window to change current screensaver. Now you can see “UsefulSaver” in the available Screensavers on your PC. Select UsefulSaver from the drop down and click on “Settings” to customize UsefulSaver. 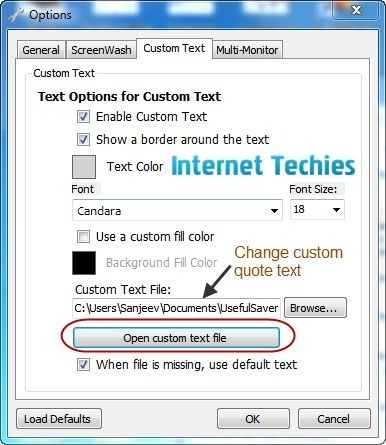 Here is the setting options for UsefulSaver to customize the look and feel of this useful screensaver for Windows.